Creatine loading is a popular way to take the sports supplement creatine monohydrate. Supplement company’s and sports scientists seem to agree that this is the best way to quickly fill your muscles with creatine. Once your muscles are full, you will be able to begin reaping the benefits creatine monohydrate can offer. Based on the scientific evidence and consumer reports, some of creatine’s benefits include: building new muscle, increasing muscular strength and power, and decreasing the time it takes for you to recovery between sets of an exercise. The most common method of creatine loading is to take between 10-20 grams daily for 5-7 days. The heavier you are, the more creatine monohydrate you are supposed to take. 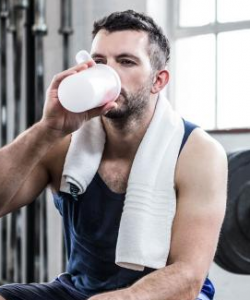 Dr. Richard Kreider, a sports scientist who has studied creatine extensively claims that your muscles store the most creatine during the first 3 days of the loading phase (1). You should therefore load for at least this long to get the most bang for your buck. Taking in the doses mentioned above for more than 3 days may ensure you have completely filled up your muscles. If you want to tailor your creatine loading phase dose to your own body you can use the formula researchers use in their scientific studies. This formula calculates the amount you should take every day based on your body weight. It’s a simple calculation. All you need to do is multiply your body weight in kilograms by .3. Check out the example below for a detailed example. After loading your muscles with creatine you switch to a maintenance phase. During this phase you take 3-5 grams of daily to keep your muscles filled. This can be continued as long as you like. You can mix your creatine in water, protein shake, or other drink. You may be able to get more into your muscles if you mix it with fruit juice or a protein/carbohydrate shake designed to increase your insulin levels. Taking one of your doses after you work out may increase the amount that is stored by your muscles too. As with every supplement you take, you should only buy the highest quality creatine monohydrate. 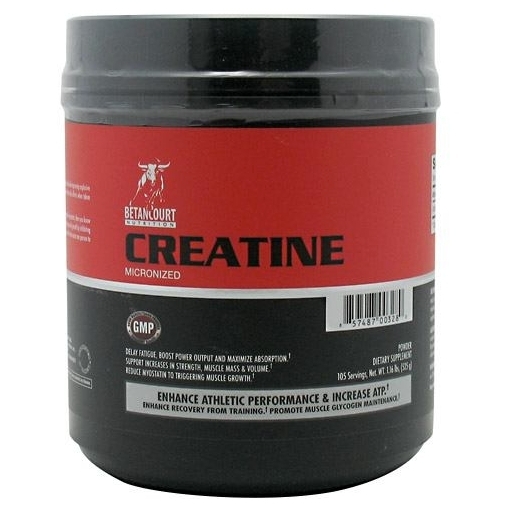 One product I like is Betancourt Nutrition’s Micronized Creatine Monohydrate. The reason I like this supplement is that it uses pure creatine monohydrate. This means you aren’t getting any worthless fillers or potentially harmful contaminants. Its low price is great too. Last but not least, since it is micronized it mixes completely and stays dissolved in your drink. Therefore more gets into your muscles instead of stuck to your glass. Which Is Better Creatine Ethyl Ester Or Creatine Monohydrate?